One of the biggest differences between a high end and lower end car is the sound perception. The noise a closing door makes is a good example. When we shut a door, we want to hear a solid thud and not a ping or tin box sound. The other aspect is the sound a car makes as it drives down the street. The Fiero is a small car and the engine is 15 inches behind my ears. This all means that it is not the quietest car on the road. 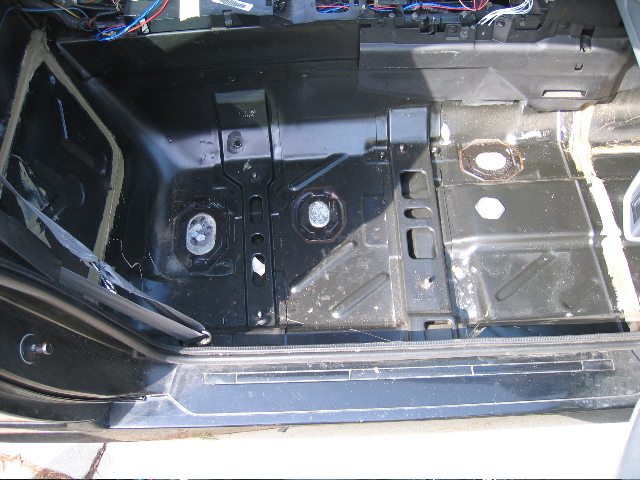 I will be adding sound deadening material to quite the car. The goal is to add enough material to quieten the car with out adding excess weight. I used a Radio Shack decibel 4 inches above the console facing forward to test the sound levels in the car. The sunroof was closed, radio off, windows up and on new KYB shocks. - The rubber bushings were replaced with polyurethane bushings. - 25 MPH on Bumps is driving 25 MPH while driving on the divider disk bumps. 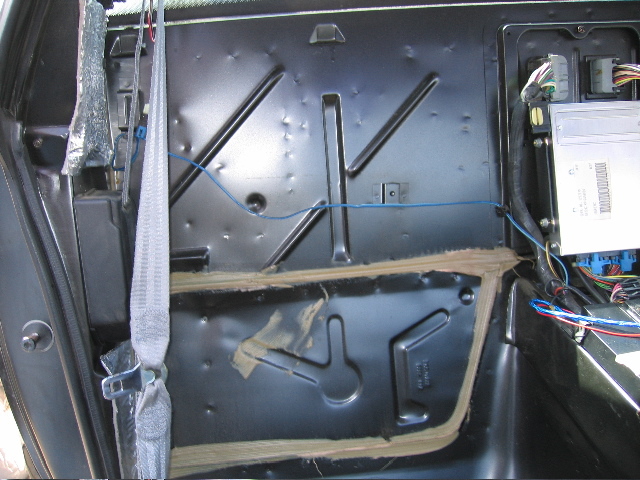 - WOT is "Wide Open Throttle"
The floors were covered with the Front King butyl foam. If I had to do this again, I would use either the rubberized asphalt or the RAAMat. The Front King butyl foam is very light, not too expensive at about $1 sqr/foot and cuts easily with a razor blade. I have little faith in the glue and did not like working with it much. The RAAMat is a lot better to work with, the glue is superior and I feel it is a better product. But, the RAAMat is a lot heavier and runs about $1.60 sqr/ft. I will post pictures here when the doors are done. The firewall was covered with the RAAMat. This material has been rated to 300 degrees F and with the density, should kill the most amount of noise. I applied one layer, but could have done two. I applied the RAAMat in the trunk on the engine facing side. The trunk would get quite warm from being close to the engine and an inch from the muffler. 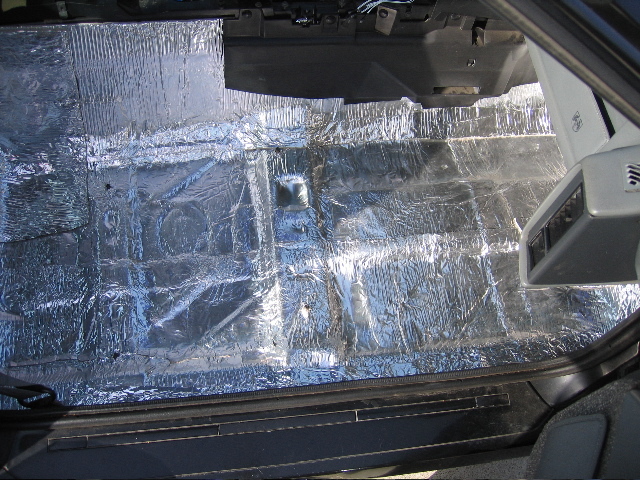 One layer of RAAMat was able to dramatically slow the heat transfer in the trunk. In the past my contents of the trunk would be warmed up in my six mile compute to work. 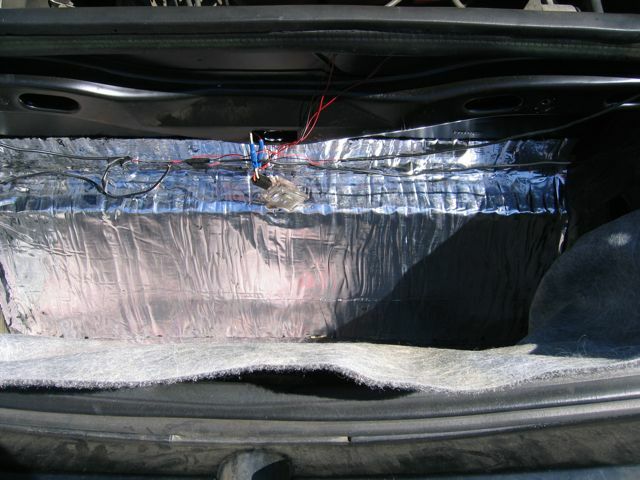 After the deadening had been applied, my bags feel the same temperature as I placed them in the trunk. No more baking grocers or my laptop. 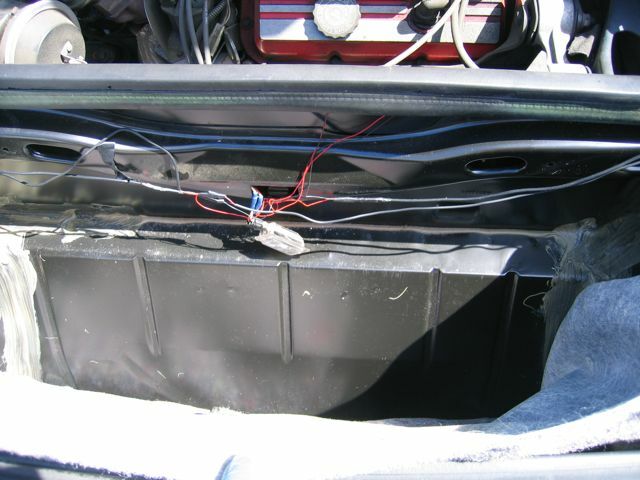 I was able to install the trunk deadening material in 15 minutes. I wish more of my car projects would go this fast. I am happy with the sound deadening and I defiantly believe that it was worth the money and time. For my install, I split the difference between light weight low cost and heavy weight higher cost materials. If I were only interested in low weight, I would have used only the Frost King butyl foam. 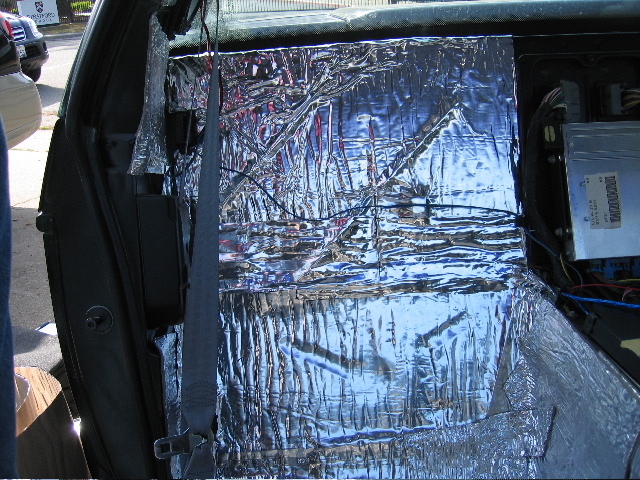 For maximum sound deadening, I would have gone with two layers of RAAMat. The difference between stock and deadened is very noticeable. The car does not sound "ping" like when I drive on the street or go over railroad tracks. The bad ground noise is much lower frequency which improves the NVH of the car. After driving the car for a while, I have noticed that most of the engine noise now comes though the rear window.